The popular Mexican resort of Puerto Vallarta will host the 2019 Concacaf Beach Soccer Championship, scheduled to take place from 13-19 May. 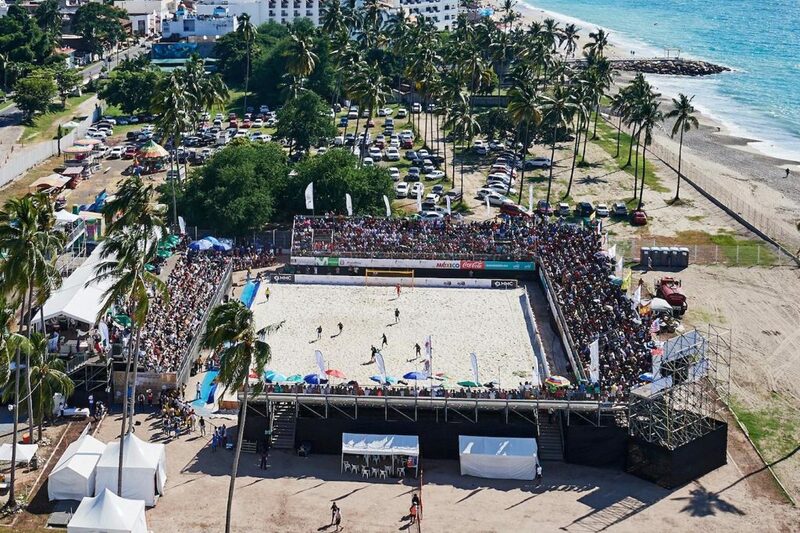 The 2019 edition of the biannual Confederation of North, Central America and Caribbean Association Football (Concacaf) event, which will be held with the support of the Municipal Government of Puerto Vallarta, and feature the 16 best national beach soccer teams in the region. The teams taking place are Antigua and Barbuda, Bahamas, Belize, Bonaire, Costa Rica, El Salvador, Guadeloupe, Guatemala, Guyana, Jamaica, Mexico, Panama, Trinidad and Tobago, Turks and Caicos Islands, United States and US Virgin Islands. The two best-ranked teams in the competition will also ensure qualification for the FIFA Beach Soccer World Cup Paraguay 2019. Philippe Moggio, Concacaf’s general secretary, said: “We are very excited to bring the seventh edition of the Concacaf Beach Soccer Championship to Puerto Vallarta.